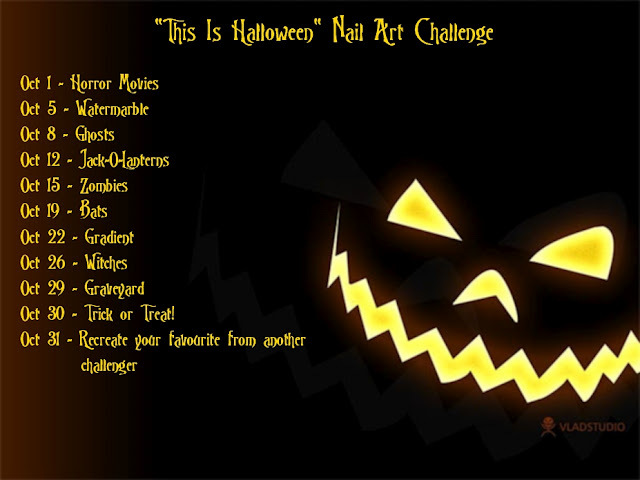 This is Halloween Nail Art Challenge: Trick or Treat! I hope all of my fellow east coasters have stayed safe and relatively dry in this storm. I just have 1 more day left before the end of this. Today’s manicure I knew I would be doing at some point in this challenge ever since I first decided to do this. 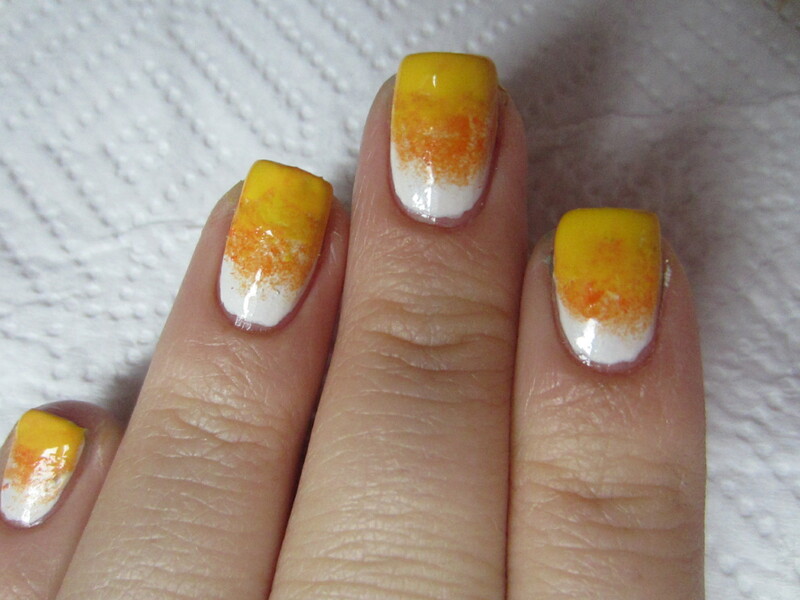 Today’s challenge is Trick or Treat, so I decided to do a candy corn manicure! I know its not completely original but I’ve never done one and was excited to give it a try. 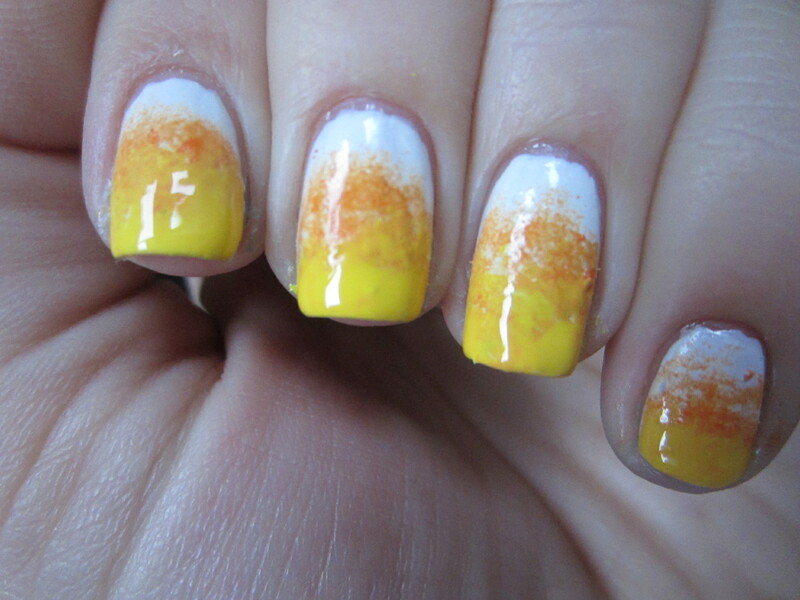 Here is my Candy Corn inspired manicure! This is obviously the “Treat” part of Trick or Treat. I thought about doing this for the gradient challenge, but decided to wait until today try it out! I used a cosmetic sponge to sponge on the orange and yellow. The yellow was a little bit sheer so I had to use a lot to get it to blend. But there ya go! What do you guys think? Have any of you tried Candy Corn gradients? What are your favorite Halloween manicures? This is Halloween Nail Art Challenge: Ghosts! This is Halloween Nail Art Challenge: Gradient! ← OPI Mariah Carey Collection Preview! I like this a lot! I have never tried something like this! but I’m definitely going to keep this in mind. I love Halloween manicures like this and I like pumpkin inspired Halloween manicures because you can wear them all fall season!